Disclosure: I received these products complimentary from Influenster for testing purposes. Provided I give an honest review. Hello Loverlies! I am not able to give an exact review of how my cats enjoy these treats, because my cats are not able to eat the treats. When Zealand was younger, he was able to eat any brand and I remember him liking the Tempatations treats that I would buy him. 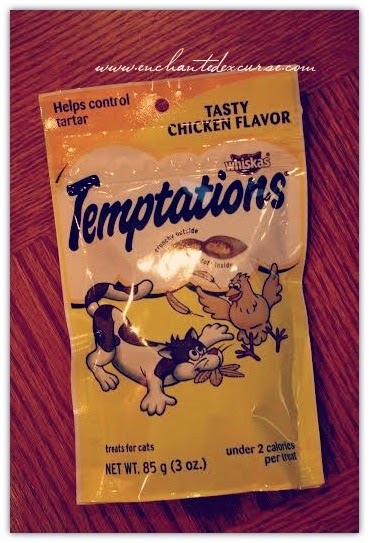 I decided to give the Temptations Tasty Chicken treats to a friend who has recently got a kitten. 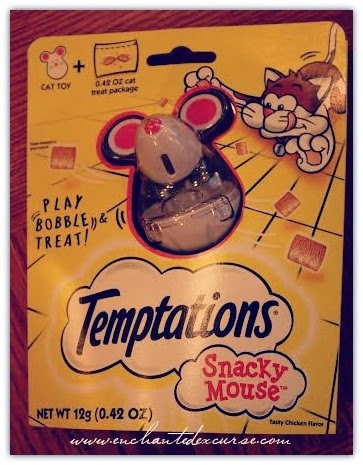 She states her little kitty loves the treats, and also enjoys playing with the Snacky Mouse treat toy. 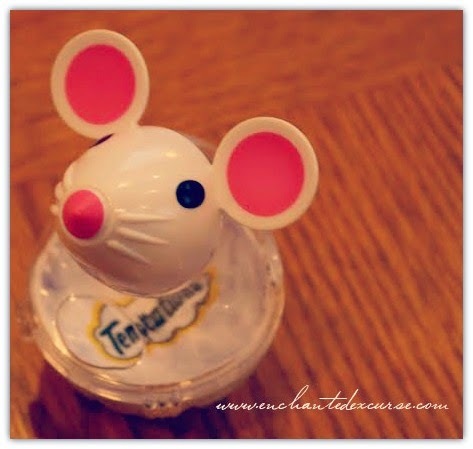 What you do is twist the mouse head off to put the treats in it. Then your kitty knocks it around to try and get the treats to come out of the little holes on the side. Sadly my cats were not as interested in it as I would hoped, but my cats are very picky. They normally like those little mice that have that real fur texture feel to them. I had to use one of the Greenies dental treats I normally feed them. I guess they are a bit lazy. Because once I took the treat out of the toy, they ate it. Don't let that discourage you from trying this out if you want to, because every cat is different. I decided to go ahead and share the videos with y'all. If you want to purchase them click HERE. Also if you would like to follow Temptations they have a Facebook Page and a Twitter Page. Have a Blessed Day!